Club Kasina Bar, the club with greatest live performances in Belgrade, is located in crowded part of downtown, next to hotel of the same name. It`s right across fountain Terazija. Its reputation, brand and regular guests, club Kasina Bar has gained working as a pub, until recently. Now, club Kasina Bar is one big modern club, with high attendance. According to guests wishes, this beautiful corner of Belgrade has been adapted to modern trends, through renovation of space. The interior has been redecorated, but partially, the original spirit of the pub has been saved, through traditional draft beer and pictures of old Belgrade. 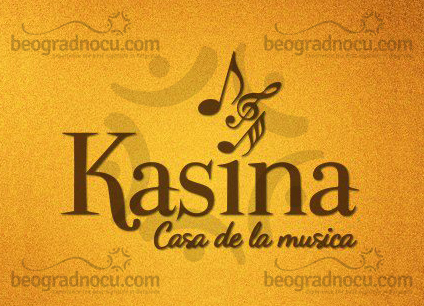 In club Kasina Bar, almost every night you can enjoy in mini concerts of regional pop and rock stars, such as, Nina Badrić, Van Gogh, Toni Cetinski, Crvena Jabuka, Boris Novković, Jelena Rozga, Marinko Madžgalj and many others. Club Kasina Bar is a place, where you can see almost all generations enjoying, because this place is for everyone. The atmosphere is always great and it gives an image of relaxed people, enjoying with their friends and listening to great music. This club is very spacious with high ceilings, so the club isn`t fuggy, even though it`s always crowded. Dress code is elegance, so you cannot go into this club wearing sweat suit and sneakers. The important thing also is excellent service, so the staff of this club is always ready to serve you on most pleasant way. The autumn in club Kasina Bar is unique experience. Don`t miss it!